Why Are We Different at Elite Spine Center? It is our mission at Elite Spine Center to create an environment of belief and confidence. Elite Spine Center is designed with a healthy and happy patient in mind. The center offers the newest in technology and therapy combined with a chiropractic approach to individuals seeking non-surgical alternatives to neck, back, leg and arm pain. Each patient will receive a health plan specific to their condition and the health plan will target sustained improvement through three stages of care. The difference can be found as the physician recommends a specific treatment path aimed at correcting the source of the problem versus treating symptoms. This ensures that pain is alleviated long-term and by strengthening the surrounding area. Chances of injury or relapse are greatly reduced. In caring for others one of the most important ingredients is trust. It is our mission at Elite Spine Center to create an environment of belief and confidence – belief that a better tomorrow exists because you are taking action today and confidence in the provider to recommend those activities and treatments specific to your needs and goals. Physically the center caters to all situations, those requiring privacy and comfort to those requiring live interaction and support. All consultation and examinations occur in a closed environment where patients can feel comfortable sharing their deepest struggles and highest goals. All rehabilitation occurs in an open therapy area where patients will feel a part of a team striving for better health and wellness. This design offers both a traditional approach which comforts a patient new to chiropractic and a contemporary health center layout similar to today’s gyms and fitness clubs. 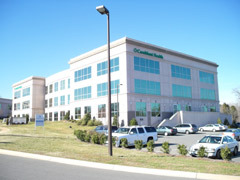 Elite Spine Center offers a combination of equipment not available under one roof in any other center in Gaston County. These options provide the physician the ability to prescribe multiple methods of treatment. Traditional chiropractic clinics offer only one or two methods of therapy combined with spinal adjustment. In the event the patient does not respond to the therapy method, treatment can take longer and some patients turn to surgery for quick action. At Elite Spine Center, treatment can be tailored as the patient progresses to ensure continued improvement. Please contact our Belmont office to make an appointment.